I promised some pictures on the blog. 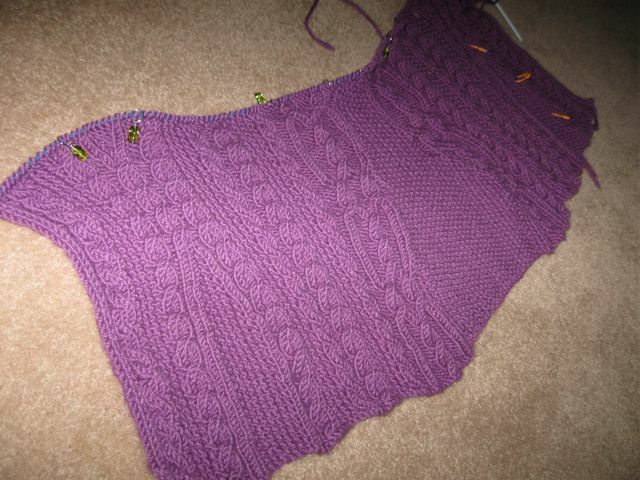 So here you have 36% of my Amethyst Vivian sweater (6 balls of Uruguay Chunky). I didn’t get any knitting done on it today as I was busy most of the day being social. 🙂 I will start chugging away on it again tomorrow. I can’t wait to wear this sweater. 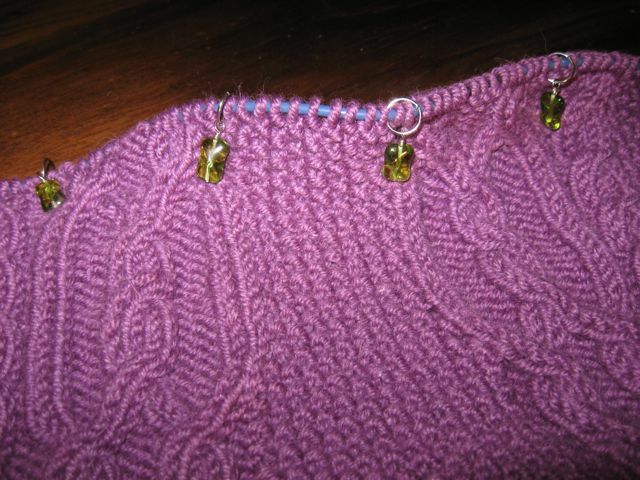 Vivian knit to about the waist from the bottom up.